Okay, maybe that wasn’t necessary, but so is this device. RIM announced the upcoming launch of the BlackBerry 9900 series at BlackBerry World 2011 in Orlando this week with the 9900 being the HSPA version and the 9930, its CDMA cousin. 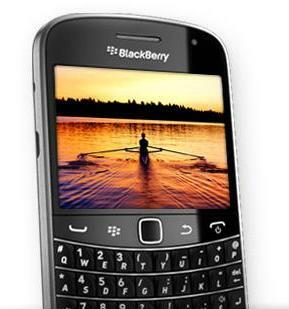 The BlackBerry 9900 series are evolutionary devices for RIM and look like you’ve seen them already. As a matter of fact, a 1st generation BlackBerry Bold could easily be mistaken for this new device before looking under the hood. The new BlackBerry 9900s come with a new operating system (OS 7) from RIM and unfortunately it’s not the OS that we were hoping to see. Before we get into the details of OS7 let’s take a look at the BlackBerry 9900s, if you care to know a bit more about what this device has to offer. So we can deduce from RIM’s roadmap that this new operating system will only be available for a relatively short period and one must wonder if purchasing this device is even worth it. The fact that RIM released this device is a testament to the fact that the QNX platform for smart phones is still a year away. It is also important to note that current BlackBerry OS6 users will not be able to upgrade to this new operating system. Sorry, BB Torch users. This platform is clearly a stopgap on a deadend operating system for a device that is evolutionary to say the least. The BlackBerry 9900 won’t win any awards for innovation or style but I suppose it’s an improvement on what we have to come to know and expect from RIM. I don’t know about you but I would definitely pass on this device. What’s your take? Will you pass as well?